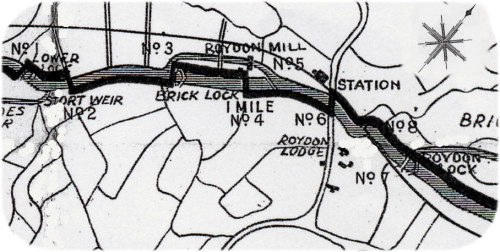 Childs’ Report 1880: Brick Lock – Toll Collection Lock. Upper gates old want renewing entirely (going to be done this year. Brickwork throughout requires repair.. Lower gates, 1 very old and the other about 10 years old, require renewing. Altogether this lock ought to have £500 spent on it within a couple of years. Plenty of depth over sill. Lockhouse date 1830, office and washhouse brick built, slated and tiled, one story high with loft over, in very fair condition. Childs' Report 1884: '' Upper gates new. Brickwork partly renewed. Lower gates, one very old and the other about 10 years old, require renewing. Altogether this lock ought to have £300 spent on it within a couple of years, plenty of depth over the sill. Lockhouse (date 1830) Office and wash-house, brick built, slated and tiled, one storey high, with loft over, in very fair condition." Tween's Report 1901: "Upper gates 1885 Brickwork on east side bad. Lower gates 1890. Requires £400 spent on it. Lower sill should be lowered 1' 6'' . Lockhouse (date 1830) Office and wash-house, brick built, slated and tiled, one storey high, with Loft over, in very fair condition." For comparison - after complete renovation, it was available in September 2011 for offers in excess of £750,000! This is one of the two original brick chambers– hence the name. It used to be Brick Cistern Lock. 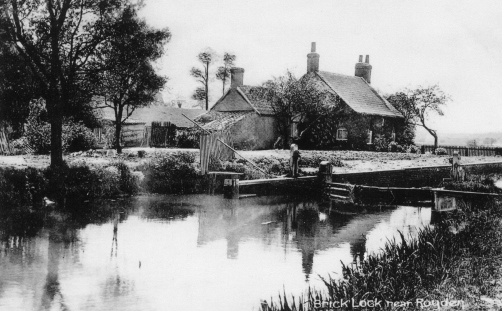 The last twist in the history of the privately owned River Stort Navigation was precipitated by the collap se of the northern wall of the lock. The collapse of the lock and the assistance provided by the Lee Conservancy in rebuilding it, led to the eventual purchase of the Navigation from Sir Walter Gilbey by the Board in 1911 – for the princely sum of 5/- (25p)! 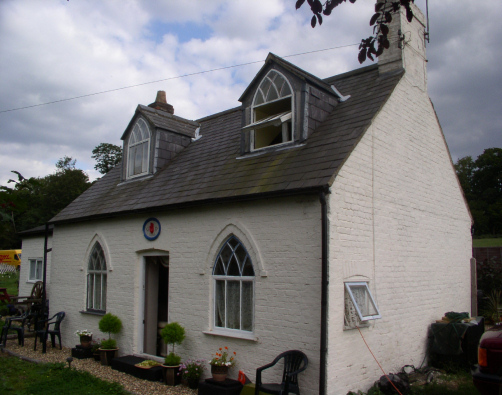 The lock house here is the only survivor of the seven cottages built in the 18th century by Sir George Duckett. There is a miller's plate beside the top gate. Appointed after L G Puncher refused appointment.